FREE SHIPPING on orders over $100 for qualified items. Have a general or technical question? Save more when you buy direct. Get fast, reliable Off-Grid energy solutions. Gain a trusted partner and start growing. How Much Power Do Your Appliances Use? These figures are approximate representations, and the actual power consumption of your appliances may vary substantially from these figures. Check the power tags, or better yet, measure the amperage draw with a clamp-on ammeter or home energy monitor like a Kill-A-Watt meter. You can usually find ammeters and Kill-A-Watt meters at your local hardware store or online. Multiply the hours used on the average day by the wattage listed below. This will give you the watt-hours consumed per day. Remember that some items, such as garage door openers, are used only for a fraction of an hour or minute per day. A 300-watt item used for 5 minutes per day will only consume 25-watt hours per day. Where a range of numbers is given, the lower figure often denotes a technologically newer and more efficient model. The letters “NA” denote appliances that would normally be powered by non-electric sources in a PV powered home. If you are considering making your own power, we strongly suggest that you invest in a true RMS digital multimeter, a clamp-on type ammeter or a Kill-A-Watt meter. It actually makes sense to know where your power is being used even if you are not producing it, and if you are, these meters are essential diagnostic tools. Click to see our list of 53 No-Cost and Low-Cost Ways to Conserve Energy. Check out how to save energy and reduce your energy cost. How much money can you save by going solar? A solar panel system for the average U.S. home can pay for itself in as little as 5-6 years. Use our solar cost calculator to find out how long it would take to eliminate your electric bill. Freezer - Upright - 15 cu. ft.
Freezer - Chest - 15 cu. ft. Note: TVs, Computers, and other devices left plugged in but not turned on still draw power. **To estimate the number of hours that a refrigerator actually operates at its maximum wattage, divide the total time the refrigerator is plugged in by three. Refrigerators, although turned "on" all the time, actually cycle on and off as needed to maintain interior temperatures. 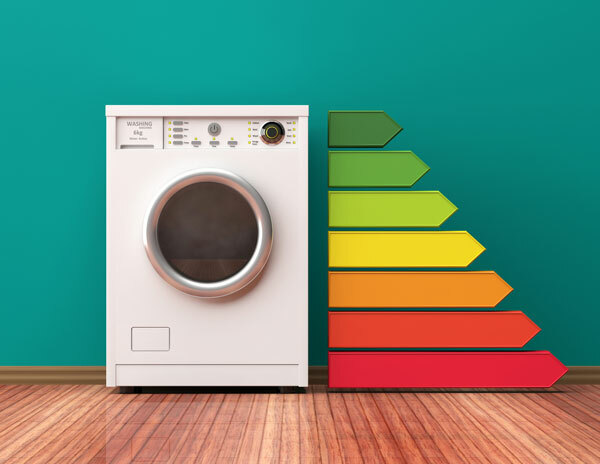 * The daily energy values listed here are for the most efficient units in their class and the information was obtained from Consumer Guide to Home and the General Electric website. Use this table with our Load Evaluation Calculator to find out how many kWh your appliances would use per month. The laundry area and kitchen of the modern house contain the biggest users of electricity. If energy is conserved and use of Energy Star appliances is maximized, your home is well on the way to becoming an example of independent living. Click here for a list of how much power each appliance uses. Consider your appliances and how you use them. In general, side-load washers use less energy than top-load washers. Many food preparations can be done without electricity, and meals can be cooked alternatively with a Dutch oven, pressure cooker, or toaster oven, and three dishes baking at once save the cook's time and conserve energy too. Refrigerators are infamous for using way too much energy. 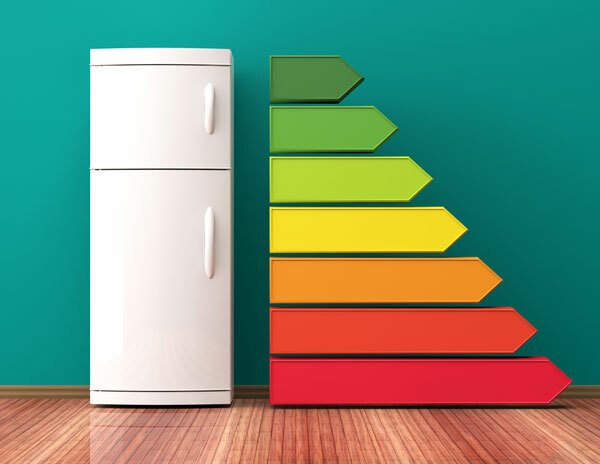 If your existing refrigerator is over 10 years old, replace it with a new energy efficient refrigerator. Newer models are much more energy efficient than the old avocado green refrigerator at grandma's house. New refrigerators don't have to be expensive to be efficient. Check the Energy Guide stickers as well as the price tags. And last but not least, consider a smaller unit because, with refrigerators, bigger is not better. If replacing your old unit with a modern high efficiency model is not an option, keep your old fridge tuned up by cleaning the ventilation grilles and giving it some room from the wall to allow for ventilation. Use the energy saving feature, if available, or set the thermostat to the minimum requirement of 38 degrees. Keep your freezer as full as possible. Use plastic bottles filled with water for empty spaces. Download "Getting Started With Solar"
New to solar? Download our free guide to learn the basics and get started designing a system that’s right for you. Solar questions? Website problems? Please contact us.